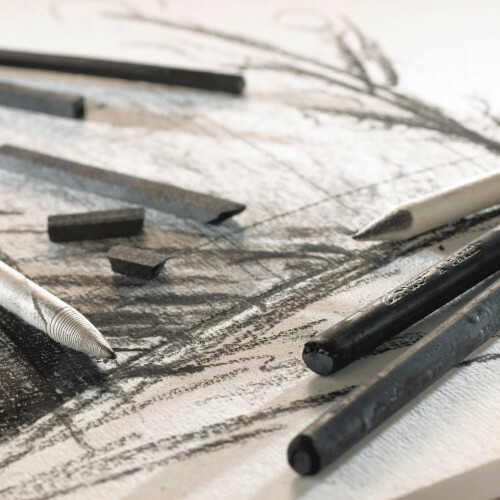 Charcoal Pencil - this gives the clean, dense finish of an intense black. Its special characteristic is that it does not break, making it easy to transport. It also blends perfectly with iron red and Sepia Pencils. 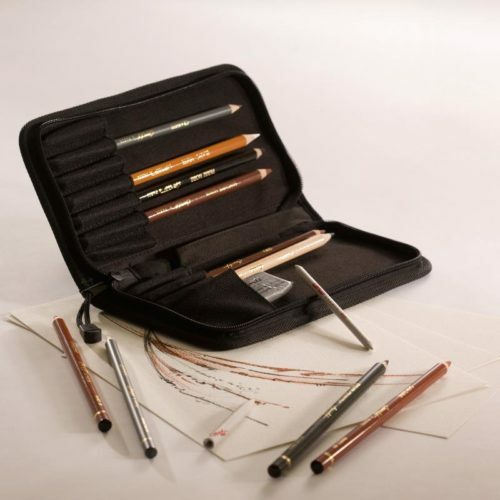 Sanguine Pencil - The colour of the Conté à Paris "Sanguine" pencil is a deep "rust" and its lines are easily blended. White Pencil - best used with a sharp lead, this pencil gives a clear line with a transparent colour. Sketching crayons and Pierre Noire pencils can be used together to create infinite variations in line, tone and intensity. 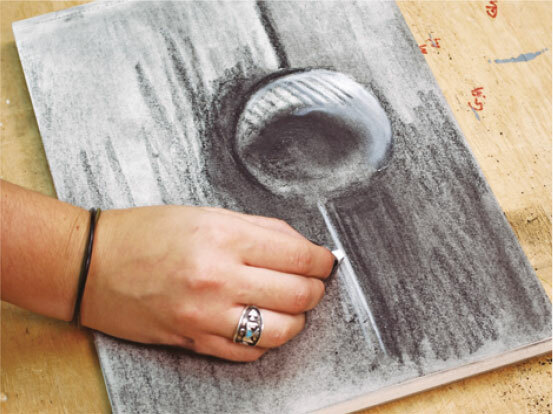 Use the eraser to create shape and contrast by removing colour in areas which are in light. This lesson will also teach how to create a range of values by using different grades of black and hardnesses.